Well Mat I was so impressed with the looks, quality and that dip stick in the HPD catch can my mate and I went out and ordered one as well. Cost more than some of the others out there but would have to be one of the better quality ones and so easy to fit. Been so busy settling into the new job, have barely had time to play with the DMAX. It did finally get some new wheels and tyres though. Very special thanks to Speedy Wheels and Toyo Tires for the great deal on even better products, couldn't be happier with the final outcome! After much humming and harring between wheel and tyre sizes, my decision was ultimately made based on what stock was available in the very short time frame I needed them before leaving for a long weekend in the Alpine High Country just gone. I ended up with the 'Territory' 16 x 8 +0 wheel by Speedy & set of Open Country A/T II 265/75/16 by Toyo Tires. I had sold myself on 33" muddies, but the blessing came in disguise because I just couldn't believe how good the A/T II's were up in the High Country. A couple of the cars in our convoy had mud terrains on and even with far better electronic traction controls (Range Rover) or rear e-locker (Hilux) the DMAX went everywhere they did much to their surprise! Not to mention how much quieter and better the performance these have on road make it a no brainer. Last edited by MAT713 on Wed Jul 05, 2017 3:09 pm, edited 5 times in total. 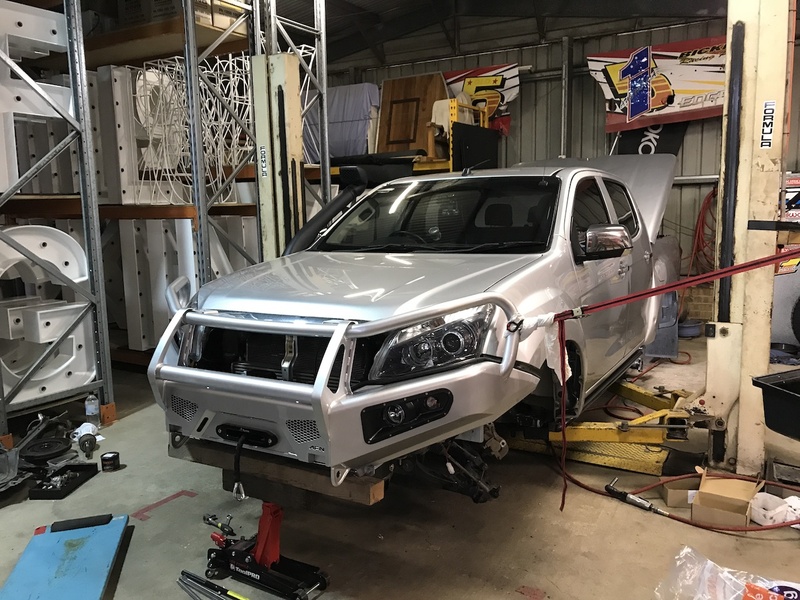 Time for an update, the truck has been pretty dormant (modification wise) for a while now and truth be told - it's mostly because I've been so happy with its reliability and how its performed for what I've been doing. We recently moved from Melbourne back to Brisbane, but whilst we were down south we saw plenty of the VIC high country and both the eastern and western coastline tracks and trails and it simply never missed a beat or got stuck going (within common sense ). 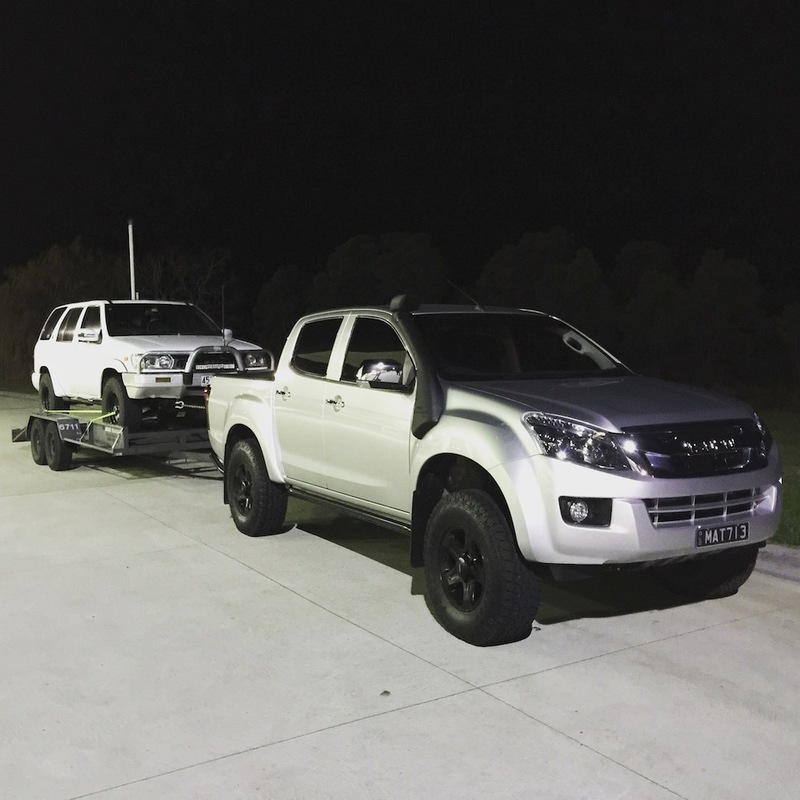 However with our wedding coming up in 2 months time, we will be taking the DMAX and a camper on a 4 week road trip stretching from Darwin to Perth exploring through Kakadu, Litchfield, Bungle Bungles, Wolfe Creek Crater, Gibb River Road, Broome, 80 Mile Beach, Karratha, Exmouth, Nigaloo, Coral Bay, Carnavon, and Monkey Mia. 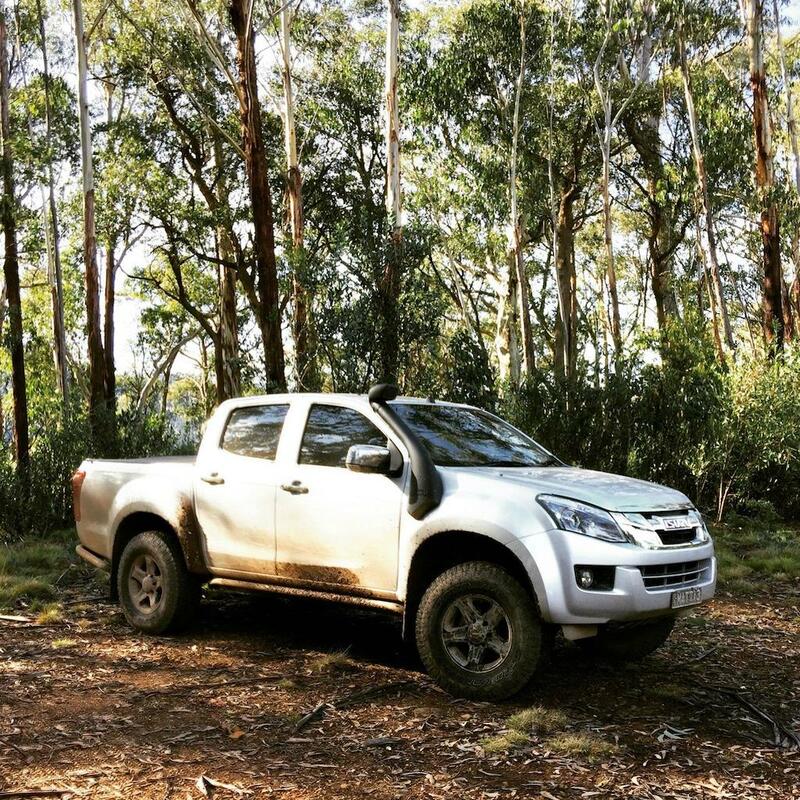 The truck has been faultless in its reliability, however its not quite ready to take on such a trip. It's been a busy couple weeks since I've been back (spent 10 weeks in Cape Town straight after moving back to Brisbane) as I do all my research on products, prices and availability etc but I think I've made logical and justified decisions along the way - fingers crossed. 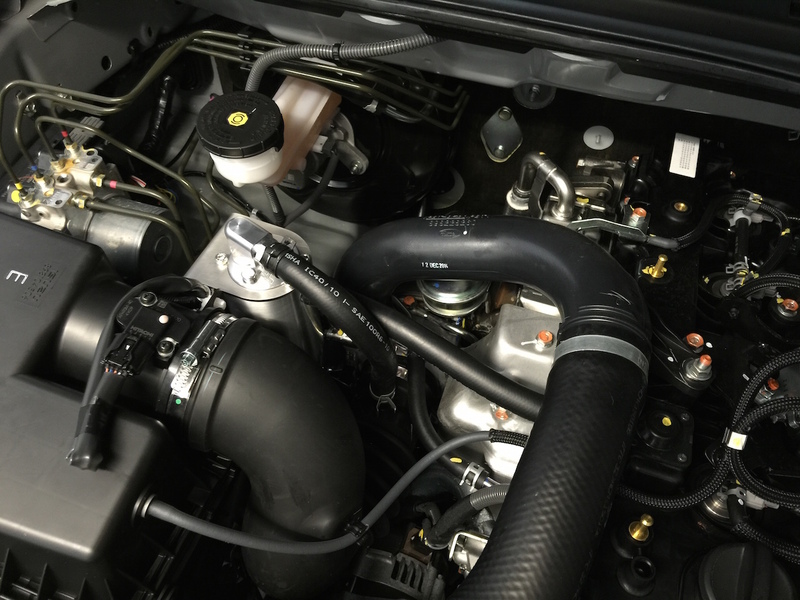 This weekend is the start as we piece together a very capable, reliable and comfortable touring DMAX. We are aiming to get the following bits and pieces that I've been stock piling for the last month into the DMAX. Glad I went with a colour coded bar in the end, very appreciative of my mate from Cameron's Bodyworks who sprayed this up for me as well. 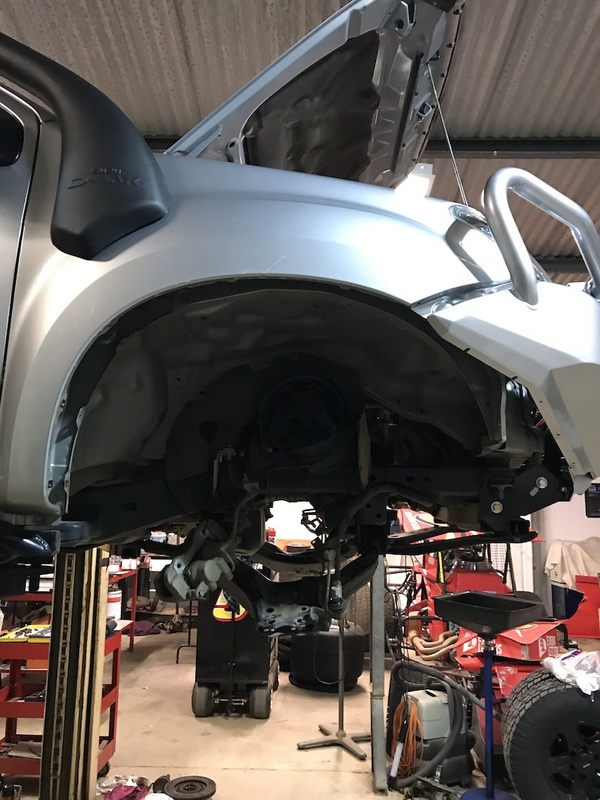 I'm most excited about the OzTec Pro's going in, I was really struggling to find any suspension brand that could do what I wanted or did what they claimed. Plus the guys are going above and beyond helping me out with a custom length rear shock to go with their 40-50mm rear leaf spring and my 50mm extended shackles. There are about 1/2 dozen different breathers in this car. 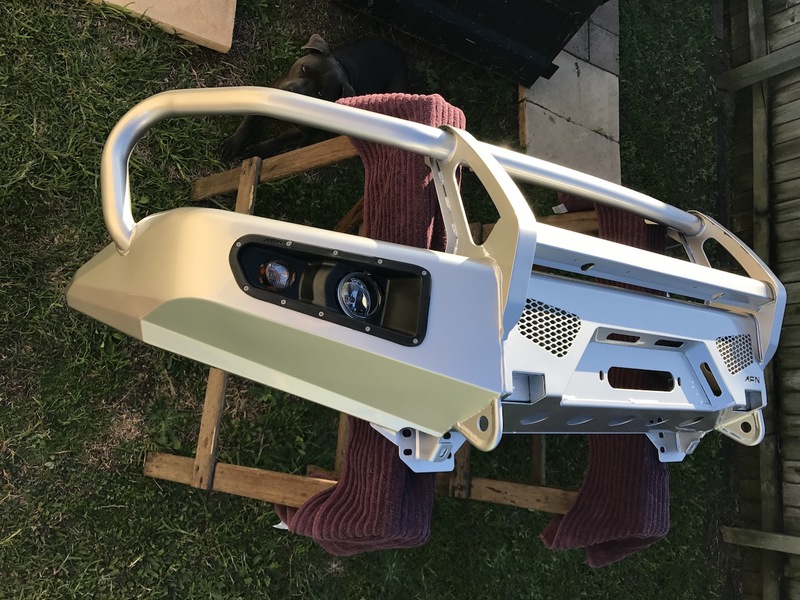 see Danno's build, and a couple of other threads on here. 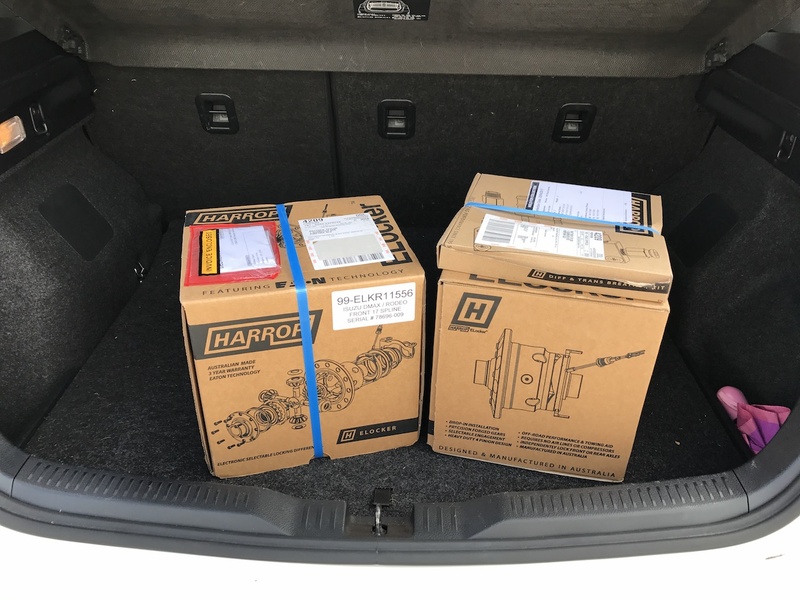 Yep, I had already queried Danno about the auto transmission breather line - I have a mate at Harrop who got the diffs at a good price and through in the breather kit for me. 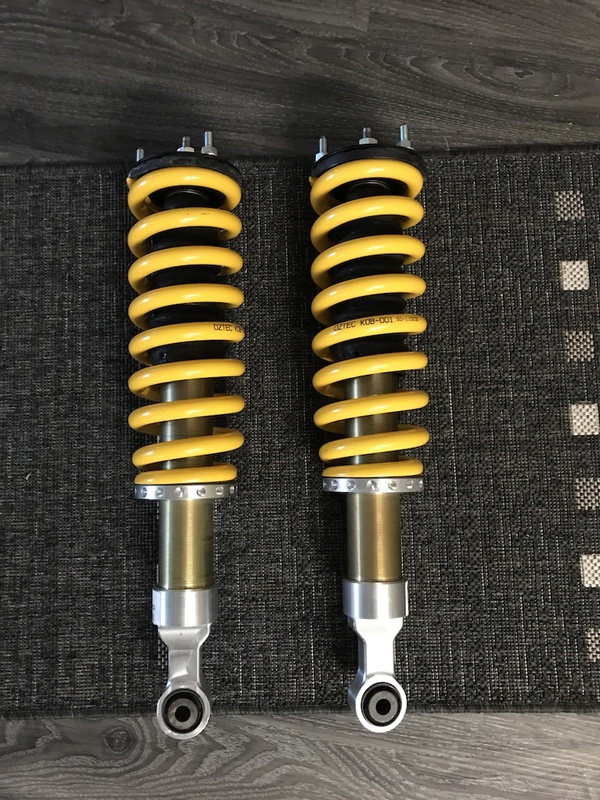 last piece of this weekends busy puzzle arrived today, OzTec Pro coilovers! Diffs are out, getting the front out was a bigger job than expected but its done. Will pick up both from the diff shop first thing in the morning to start the installation process. I said last time I installed a bullbar I'd pay someone else to do it next time, wish I listened to myself.